Ulster came agonisingly close to causing a major European Champions Cup upset in Dublin on Saturday, but defending champions Leinster were able to do enough to get them over the line by a three-point margin. 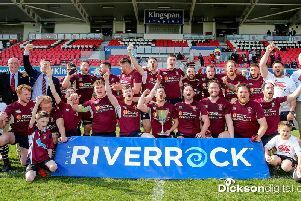 The four-times winners came from behind twice before Ulster drew level going into the final quarter although they were left to rue missed chances as home outhalf Ross Byrne kicked a penalty nine minutes from time to send his side into the semi-finals 21-18. Ulster Replacmenet Luke Marshall, in his first game since May last year after an ACL injury, scored a try to level the tie at 18-18, but Leinster turned the screw in a superb display of controlled rugby in the last 10 minutes. In spite of losing captain Rory Best to an early ankle injury, John Cooney’s eight points from the tee had Dan McFarland’s underdogs 13-11 ahead at half-time. It was a tale of two wingers when Jacob Stockdale agonisingly dropped the ball from his grasp, and a subsequent Leinster attack sent Adam Byrne over for a momentum-shifting 53rd-minute score.